That's a beautiful photo. 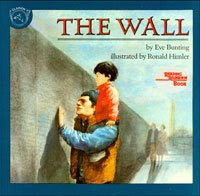 I didn't know they had a children's book about the Wall! Beautiful... I really need to get the kids down to see the real one before we move from here.. The real wall is so powerful, it's nice to see they made a smaller version for people who can't make it to DC! Wow. 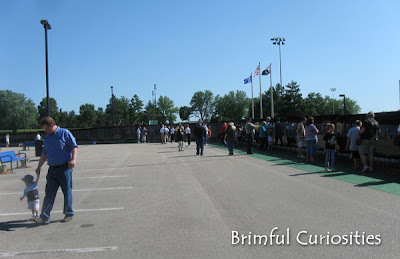 I didn't know they had a moving wall. We've been to the one in DC and it was very moving. Wow... How moving. I'd love to take my kids to see that someday! What great photos! I'll have to look into the book. 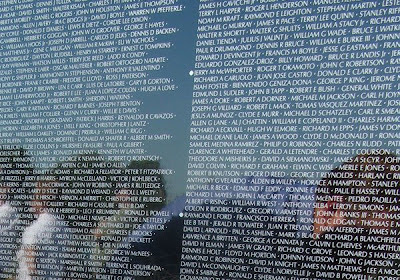 We took our son to the Wall in DC, but it's a tough thing to explain. Thank you for teaching your children such a meaningful part of our culture. I got to visit the one in DC and the day I went, it was raining and for some reason, that made it a more powerful statement for me.